Help Jimmy Get His New Kidney! 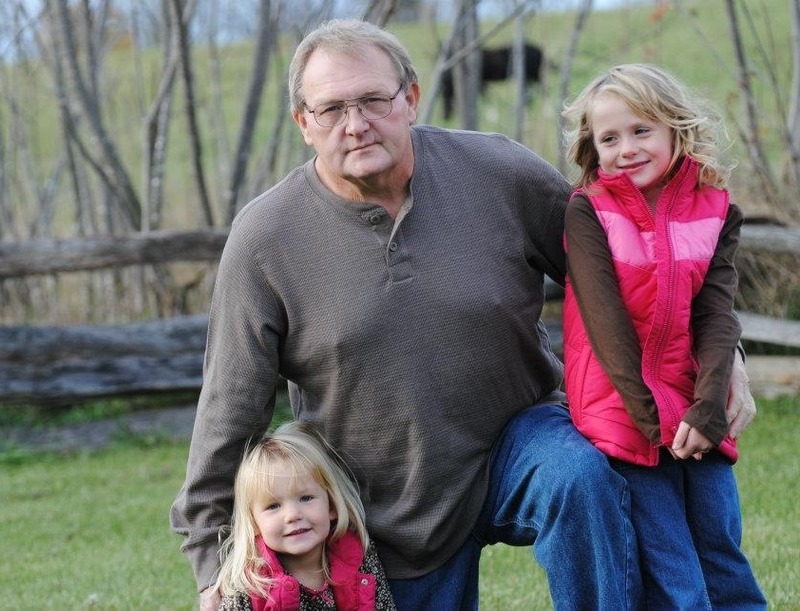 Jimmy Ritchie, the husband, father, and grandfather of Judy, Mike, Jana, Scotty, Kirsten, and Shaye Ritchie of Rome City, In, needs a kidney transplant and the help of the community to make this happen. Transplants are life-saving but very expensive. In 2001, Jimmy was diagnosed with diabetes. Throughout the next ten years of Jimmyâ€™s life, the diabetes caused other complication to his health. In 2011, Jimmy stepped on a nail and required foot surgery when the foot would not heal. After the surgery, Jimmyâ€™s kidney failure started. By 2013, he was in kidney failure and dependent on dialysis to keep him alive. Doctors tell us that once a patient is placed on the transplant list, it can take as long as four years to get a transplant, so we are searching for a kidney donor. Jimmyâ€™s health is deteriorating and the need for a transplant has become urgent. Jimmy misses his active lifestyle. He is very devoted to his two granddaughters and misses being involved in activities with them. His only chance to return to good health is a kidney transplant. However, when Jimmy is lucky enough to be blessed with a kidney, even with insurance, the out-of-pocket medical expenses are more than Jimmyâ€™s family can handle alone. The costs not covered by insurance include expensive immunosuppressant medication that he will have to take for the rest of his life and the travel expenses to and from the doctor for pre and post-transplant care. To help with the financial burden of Jimmyâ€™s uninsured expenses, a fundraising campaign in his honor has been established with HelpHOPELive, a trusted nonprofit organization that has been providing community-based fundraising guidance to patients and their families for more than 30 years. All donations are tax-deductible, are held by HelpHOPELive in the Great Lakes Kidney Transplant Fund, and are administered by HelpHOPELive for transplant-related expenses only. Please consider making a contribution today. Your support is critical to the overall success of Jimmyâ€™s struggle. Please know that your contribution counts. On behalf of Jimmy and his family, we thank you in advance for your kind consideration. Jimmy- We're praying for you!